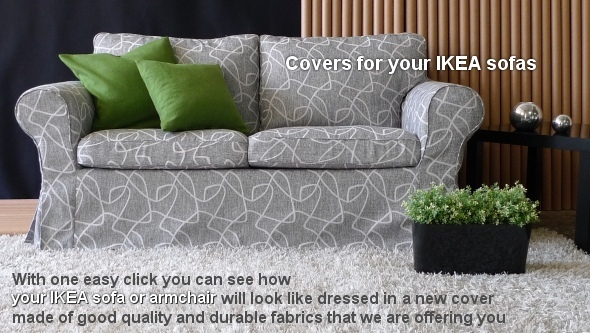 Are you looking for that perfect removable cover for your Ikea sofa that would lighten up your entire room? Dressyoursofa.com is here for you with a huge selection of modern fabrics. You can choose a design that fits your personal taste the best. Whether it is a cover for Klippan, Ektorp, Bedinge or for any other Ikea popular sofa or armchair, our professional team will make it for you.